Electronic cigarettes mimic conventional cigarettes in a number of ways. They are similar in shape, but e-cigs are not lit like traditional cigarettes. E-cigarettes were first made by a pharmacist from China before they were subsequently introduced into the market. Ever since, many manufacturers have produce e-cigarettes to meet the smoking needs of many people the world over. 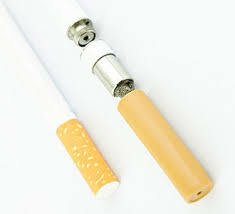 These cigarettes are also known as vaporized cigarettes or electronic vaping devices. Others simply refer to them as personal vaporizers. Their delivery system is electronic, hence the name electronic cigarettes. Here are some of the little-known facts about e-cigarettes and how they work. Electronic cigarettes are made of three main parts. One of them is the mouthpiece. This is the part of the electronic cigarette that is put in the mouth and inhaled. The atomizer is the other part of an electronic cigarette. When the e-cig is inhaled, the atomizer converts the liquid in the cigarette into vapour that is subsequently inhaled by the user. The liquid, also known as e-juice, is stored in the part of the cigarette known as the cartridge. Usually, electronic cigarettes have a replaceable cartridge. Some of them are reusable whereas some are disposable after each use. Electronic cigarettes are usually composed of e-liquids of various flavours. Most e-liquid manufacturers use three ingredients known as propylene glycol, flavourings, and vegetable glycerin. Propylene glycol is a base substance that is odourless as well as colourless. To add flavour to the e-juice, certain flavourings are added to the liquid during the manufacturing process. These ingredients are usually mixed in different proportions to come up with e-juice of varying concentrations. When e-cig smokers buy e-juice, they normally consider the amount of each of the ingredients present in the liquid. This is what determines how strong e-juice is and the amount of vapour it produces when inhaled. Electronic cigarettes are easily purchased in stores or online shops. One can buy their electronic cigarette depending on its size, shape, design, or even its brand. Electronic cigarettes are sold at different prices, with some being very expensive. When buying electronic cigarettes, one should do so at a trusted store to avoid counterfeit products. It is also advisable to determine whether one needs a cigarette with disposable cartridges or ones that can be reused. One can also check whether the e-cig has a good charging system that will be convenient to use. I’ve just got mine and I have to say I’m delighted with it! Really simple to assemble, and ultimately it’s not a cigarette, which means I can enjoy it at work. I think the important thing is buying from a reputable company. I always look for places that friends have recommended. You never know what's the best place to go for... have to find a good source. Never knew how the liquids were made for the cartridges, really informative! I will consider buying one from your site in the future!